As two Latina, first-time mothers, Ana and I found ourselves with lots of questions about how to raise our daughters bilingual in a monolingual society. SpanglishBaby is the answer to all those doubts…and more! We hope to become the online community to go to when anyone (not only mamás & papás) wants to ask a question about this daunting-but completely worthwhile-task. The place to go for parents and other caregivers to share their family’s bilingual journey, so we all can learn from each other. And mostly, the space where you can all explore this extremely rewarding way of raising our children! Please feel free to leave a comment or contact us via email with your thoughts, ideas, suggestions. 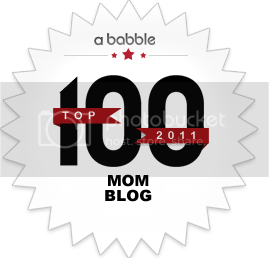 We’d love to get your feedback so we can make SpanglishBaby an invaluable resource. Leave a comment telling us Your Story: How are you raising, or plan to raise, your children to be bi or multi-lingual? If you don’t have children, how were you raised bilingual? If none of these apply, tell us how much you love Victoria´s Secret and SpanglishBaby! For a second entry (good for every giveaway this week!! ), subscribe to our feed either by email or RSS. Want a third chance to win? If you have your own blog, write about this giveaway or about any post on SpanglishBaby. No need to let us know, just link to a post and we’ll get a trackback. Once again, thanks for visiting, we hope to see you here often. In the meantime, let us suggest what’s on our current list of Must Reads. This giveaway will end today, Monday, Feb. 9th at midnight PST. But, no worries, you can come back tomorrow and everyday this week for another chance to win! CONGRATS ROXY!!! on this MAGNIFICENT NEW BLOG and this new adventure you’re about to embark on… lots of luck my friend!!! Congratulations on your wonderful new Blog! I commend you for taking on such an important issue. In Europe, kids are taught several languages simultaneously from the time they begin school and they absorb it almost effortlessly. A huge contrast from the U.S. where many Americans respond ignorantly upon hearing a conversation in a foreign language with comments such as, “You’re in America, speak English!”. Or by presenting legislation that would ban our government from communicating with citizens in a language other than English. 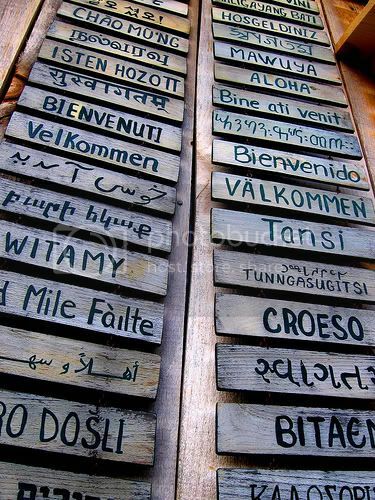 I was raised in a bilingual household, and even though at times I rebelled against speaking Spanish at home and being forced to take it in school, I have made a great living for the past 20 years using both languages. There are unlimited advantages to being bilingual or multilingual and I thank my parents for standing their ground in spite of my protests and for resisting outside pressure to just blend into the “melting pot”. It doesn’t matter what method you choose to teach your child a second language, as long as you choose one and then stick to it. In essence, you will be opening doors for your children and someday they will thank you! Congratulations both in this wonderful new website. As a mother of a toddler I know that it is a very difficult task to take the time to create something as meaningful and complete as this while juggling housework and spending quality time with the little ones; as I am currently writing this my 2 year old, who I set up at a nearby table with lots of playdoh is crying because I am not sitting next to her. For my husband and I it was an organic decision to speak to Clarissa in Spanish, since we are both from Venezuela, our pediatrician recommended for one parent to speak Spanish and the other English so she doesn’t get confused, that piece of advice we didn’t follow. I was a little worried at the beginning when she started blurting out words, they were all in English, ball instead of pelota, she understood both, but refer to it as “ball”. I can’t count the many time my mom and sister pointed out that she only spoke English, I mean it is much much easier to say it in English, I didn’t worry at the time and when she got a little older, we were nicely surprised when she started speaking full sentences and we would hear a lot of Spanish in between and the main word in English, so currently we have a very SPANGLISH BABY. 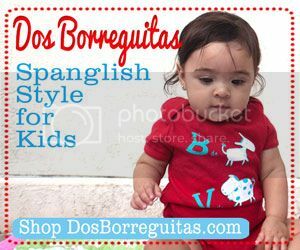 She is due to start Nursery School in the fall and since no one in the school speaks Spanish I want to make sure that she will be able to communicate with her peers and teachers as well and not to have that as a disadvantage. What I have currently been doing is whenever I am in an English speaking environment I speak to her in English, say Toddler Program, Music Class, play dates with American friends; that way she has the ability to communicate verbally instead of physically with other kids and I also find it rude with the other parents and her teachers, if they cannot understand what I am saying. At home we ALWAYS speak to her in Spanish. I find in many situations where she will speak solely in Spanish or solely in English, she is still very young but I think that she can tell them apart now. She can count now up to 14 both in English and Spanish and is currently learning the alphabet, colors and shapes in English and I say them back in Spanish, at this age they are little sponges and everything is being registered in their little brains and one day when you least expect it, it all comes out. I hope that we are doing it the right way and that she will always cherish her mommy and daddy’s native language. 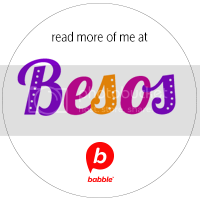 This website will be a great tool for me to find books, material and activities that cater to our bilingual little ones. Congratulations on the launch of your blog! I am sure you are the savior of many parents out there that need answers! I don’t have any kids, but I was raised in a tri-lingual household. My mother is Italian, and my father is Turkish. I was blessed to have both sets of grandparents involved at a very young age, which helped the language learning process easier. My nonna and nonno (Italian side) only spoke to me in Italian from the moment I was born. My Babaanne and Dede (Turkish side) only spoke Turkish. My parents spoke English to me. When I started speaking, I would combine all three languages. To my parents, it was very cute and didn’t raise any concerns. They always made sure to speak to me in Italian and Turkish because they knew I would have no problem speaking English since I was surrounded by other kids, television and school. Not only did my parents speak the languages to me, but the raised me to know both cultures through travel, reading and cooking among the few. Now that I am older, I am still fluent in Turkish, but have lost a bit of Italian since it wasn’t spoken much after my grandparents passed. A huge goal for me is to raise my kids speaking both languages as well. I am looking forward to learning more about the process through your blog. Many blessings to you, and congratulations again! I grew up in a household where my father spoke French and my mother English. He never spoke to me in French because my mother did not speak the language and I guess he felt like she would have felt left out. I look back now and wish that he had because my French is no bueno! I consider Sophia to be a bilingual baby. I speak to her in English and her papa speaks to her in Spanish. We are pretty religious about it, because I know that she probably won’t learn it in the rest of her environment. I want it to be second nature to her and for her not to have to learn it from a book. I kind of like it too, because I am learning the language too. People are always surprised when they hear a “gracias” out of a gringa’s mouth! I have considered dual-language schools as an option too, so that she has a lot of exposure to using the language and learning how to write as well as speak it. I look forward to reading lots of posts and hearing other suggestions from mothers so that it will make this transition easier. Great job! I will forward this onto some mommy friends too. I am not a Spanish speaker but I am bi-lingual. I speak french/Creole. I taught my oldest son how to speak Creole very early on. He is nine now and he understands more than he speaks it. I think my challenge is remembering to speak Creole to him more consistently. I just had a baby and plan on teaching him as well. I am adamant about them speaking Creole b/c it is a part of their culture and I want them to know and remember where they came from. felicidades a las dos se que este site va ser un exito total..Gracias por compartir sus historias con nosotros . Waoo Roxana congratulations this is great! Thank you all for your comments and for sharing your stories which I totally enjoyed reading. I love the diversity!!! Lots of valuable info that I will explore in the near future in other posts.